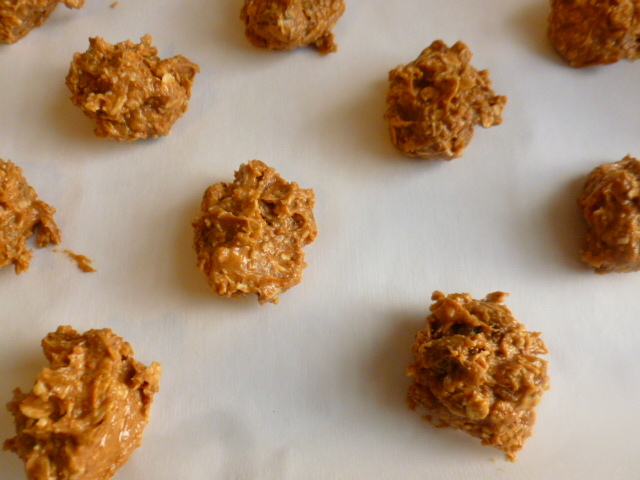 As rolled oats cookies are among my favorites, I make them often, and each time I try to come up with a new flavor. This time I decided on the combination of coconut and golden raisins, which resulted extra tasty cookies, well worth of documenting. The cookies are quick and easy to make and will fill your kitchen with wonderful aroma while baking. The desiccated coconut and rolled oats add chewy textures, while the raisins add subtle acidity, which balances the sweetness nicely. Cinnamon, vanilla and coconut sugar added different layers of aroma. 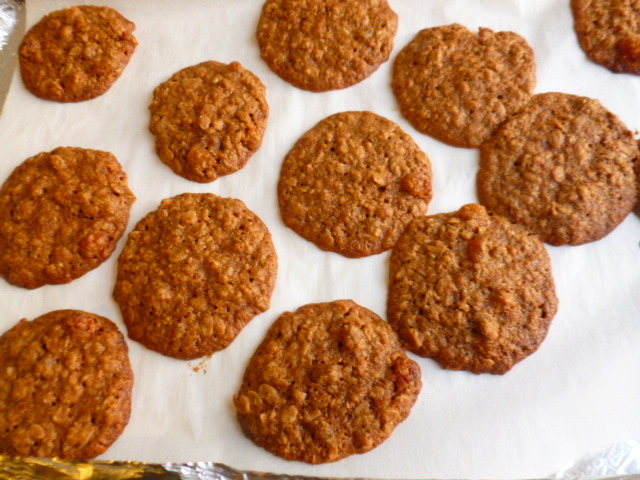 These tasty cookies will delight anyone who loves coconut. Try them and enjoy. * I’ve used coconut sugar simply because I’ve had it at hand, however, if you don’t have it, brown sugar can be used instead. 1. Preheat the oven to 350F (175C). Line two cookie sheets with baking paper. 2. 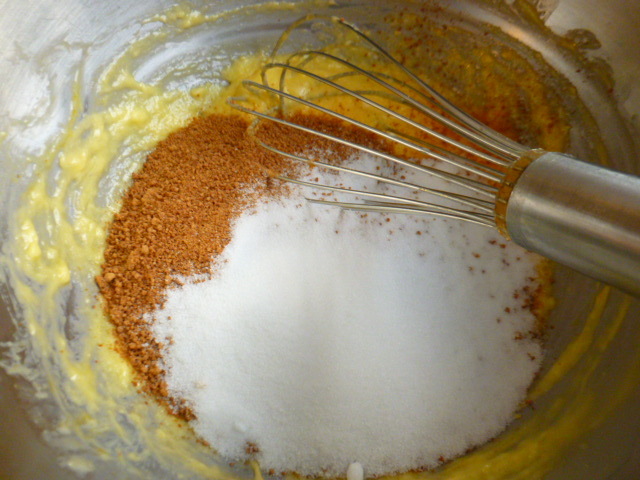 In a large bowl, whisk the butter and egg together. Add milk, two types of sugar and mix well. 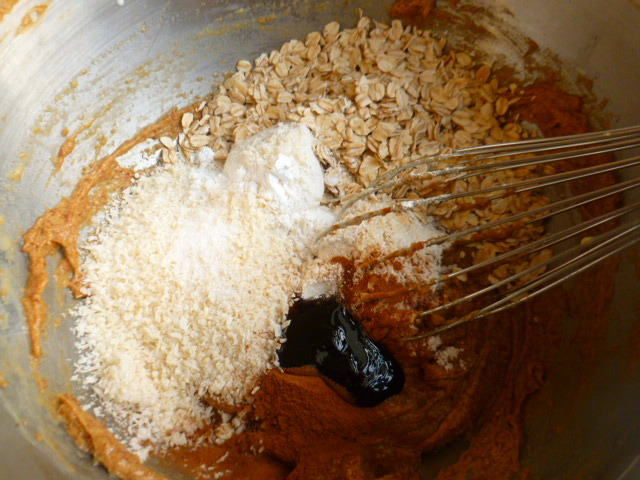 Add the flour, coconut, vanilla, cinnamon, baking powder, salt and rolled oats, and mix to combine. 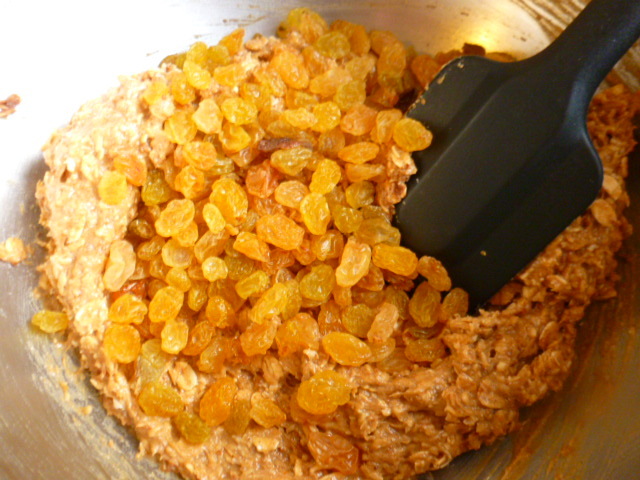 Add the raisins and mix briefly with a spatula. 3. 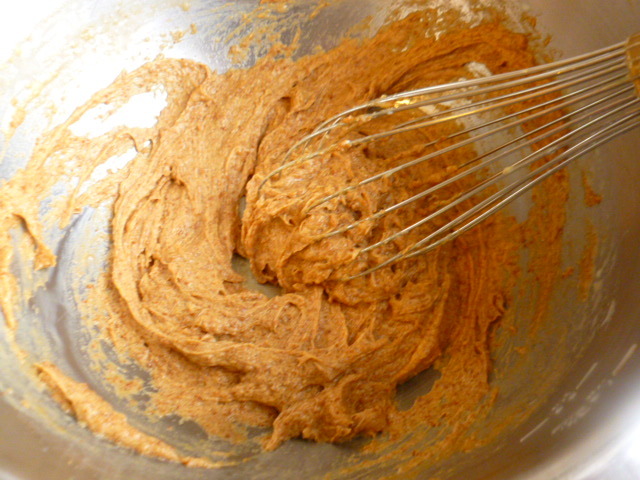 With a small ice cream scoop, form about 30 ping-pong size balls from the dough. 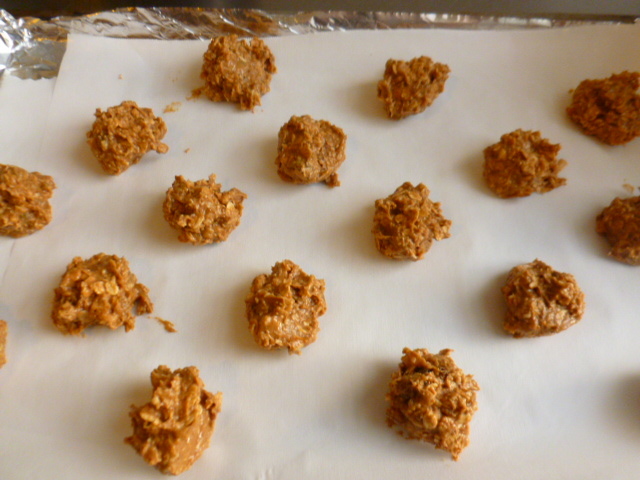 Place in the pans, spacing them apart (the cookies will expand extensively while baking). 4. Bake for 15 minutes, rotating the pans halfway through. The cookies will be soft when taken out of the oven, so leave them in the pan for 5-7 minutes before transferring to a rack to cool completely. They will then harden up a bit to a crispy yet chewy texture. Love the ingredients u have used Ronit, this is definitely a must try…I like this kinda quick fix dishes ! Wow, healthy cookies to eat. 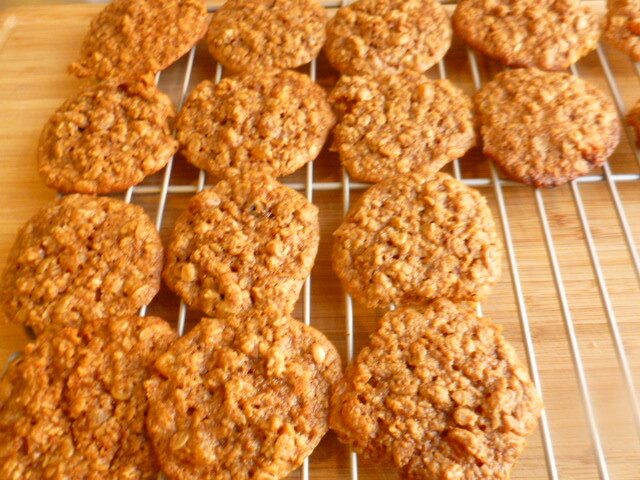 I’ve got to try golden raisins in my next batch of oatmeal cookies! Great idea! Thanks, I hope to try it soon. This weekend, the weather will cool down a bit so that will be perfect. Do these come out crispy or soft? Beautiful and on the healthy side of life. Another cracker. I am sure they are….I wish I can have them right now…. I love outmeal/raisin cookies, but I make them non-dairy and add chocolate (did you think I wouldn’t?). Coconut will raise the raisins to a totally different enjoyment level! P.S. Chocolate is a great addition to everything, including hot peppers! Shabbat Shalom! 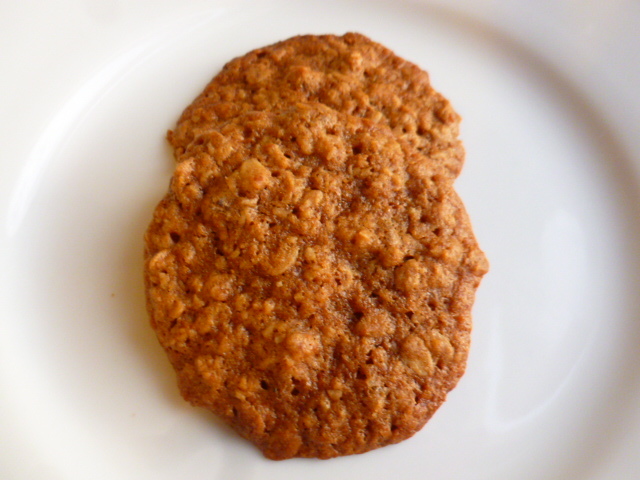 I too love rolled oat cookies – hence my last post for vegan oat cookies…..great to see one of your recipes! Very nice! I wish i was a better cookie baker. Maybe my 4 year old grand daughter can help me out! 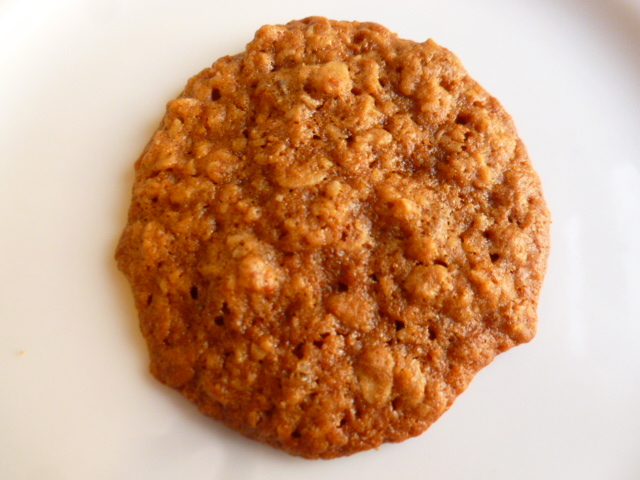 I love oatmeal cookies! There couldn’t be anything more perfect for fall! I’ve been using golden raisins a lot recently but mostly because I have a large box of them, and none of the plain old raisins and I’ve ntoced that even some people who don’t care for raisins seem to eat them without hardly noticing they’re in the recipe. Bonus! Wonderful recipe! I just love the combo of oatmeal, raisins & coconut, it is absolutely magical. These are a must here! Love your version!